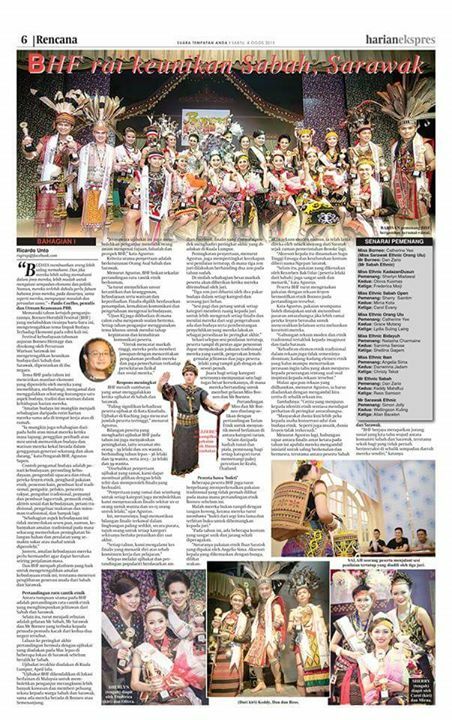 the lilly: what you should know if you want to join BORNEO HORNBILL FESTIVAL. 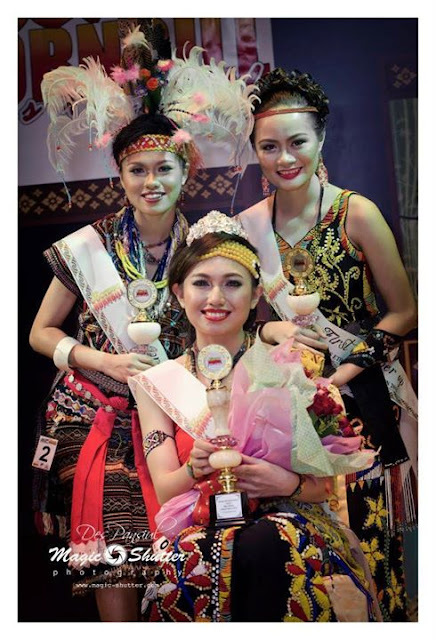 what you should know if you want to join BORNEO HORNBILL FESTIVAL. i actually started doing this post since last month but i never really finish it because Sophie was sick and i think this post can wait. ok, now, BHF for 2015 just ended last month. being one of the contestant really really challenge me physically and mentally. i thought that i was more than ready but i was wrong. there's so much things that i am not prepare for. that's why i decided to write a blog for it just in case you guys are going for it next time. there are 5 category for girls and 2 category for boys. you will not competing toward each other until the Grand final round. so, choose you category wisely. for kota kinabalu's audition only there are around 30 girls came. but they only want 10 person in each category meaning only 20 girls from sabah and 30girls from sarawak. so, yes. you need to do very well during the audition or you might not even be able to go for the next round. they always give you an information before the audition so study well about it. to be honest i didn't do my research because i was rushing. i come to the audition from my friends wedding. so there's not much i can do about the preparation. but thank God i was chosen anyway. unlike every pageant, beauty is their priority probably 80% of the marks correct me if i'm wrong. But in BHF beauty is just a bonus. you need to prepare very well in your presentation. that's mean even if you score full marks on stage presentation, you can still lose if your indoor judging is low. so study whatever ethnic your present. bring whatever prove you can to impress the judges. 1. wear something they never see before. like a costume that never presented in any pageant before. 2. wear something original/old if you can. 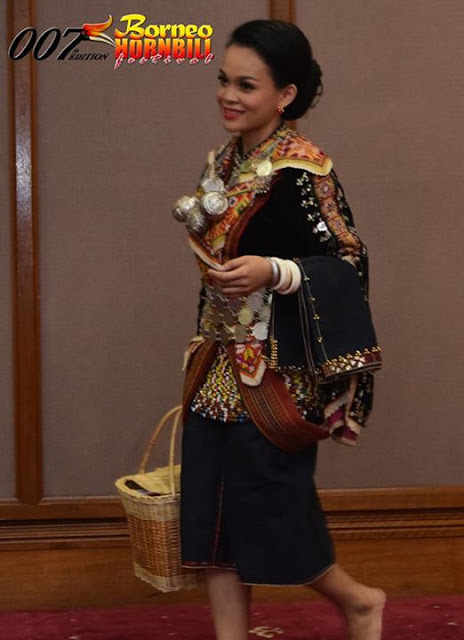 Olliva wearing Sinipak the Dusun Tindal Costume. 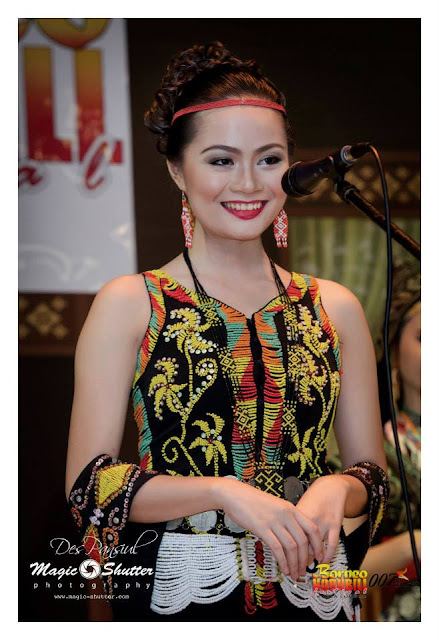 contestant Miss Oliva above wearing the Dusun Tindal costume known as Sinipak from year 1930!!!!! it's really old that i am afraid to even touch them. takut koyakkkk.. antik bah. and she manage to be the first runner for KADAZANDUSUN Catogery and qualified for the grand final round. let the judges know that you know whatever things you wearing. even if you are not a MURUT but when you wear Murut costume, make sure you know everything about Murut. and by that i mean EVERYTHING inclusing their traditional food, dances and culture. if you have talent like dancing the traditional dance, or singing the old traditional song or playing the traditional music instrument then do not afraid to show them! 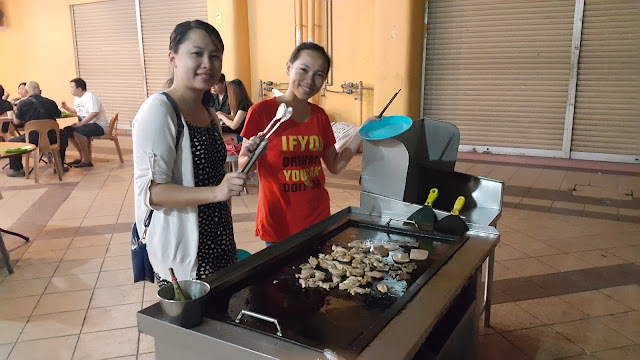 tapi kalau main gong mau consider juga la sebab basar baitu ko mo angkat pigi KL. our queen B is actually playing Sarawak nose flute on her indoor judging! 4. be confident and bring your proof. whatever your presentation is, fact or auta, just be confident. because you need to convince the judgesabout your research and they won't be convinced if you are not confidence enough. 5.Let the judges know your effort. 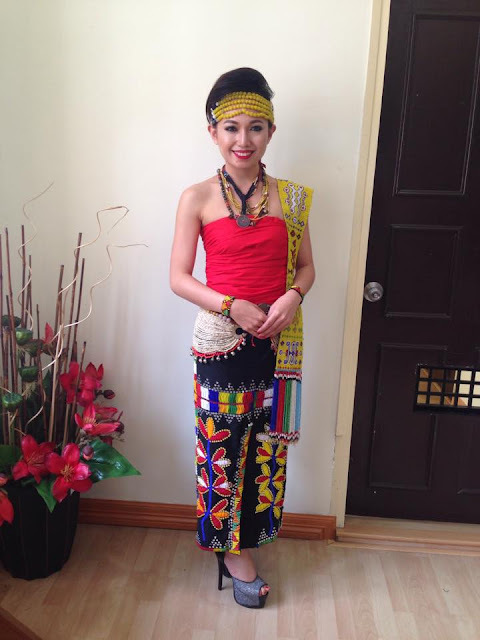 i represent Murut Tahol but i dont know how to speak Murut and i am not familiar with their traditional dance too. and i am being very honest to the judges that i never watch the Lansaran dance and i dont know how to speak Murut but i did some research and i know a little Murut and i watch the Lansaran dance on youtube so i can still explain it well to the judges. "ONSOI KAMAIYON SALAM RONDO MALAYSIA"
"SELAMAT PETANG DAN SALAM SATU MALAYSIA"
some of the contestant even bring Tiger's teeth! original accesories of Murut people! some of the male contestant bring their long traditional weapon to the indoor judging! #4. EVERYONE IS A FRIEND. as much as you want to win the competition, dont forget to make some friend. i must admit i have big problem in making friend because i am not the talkative type if i am with the person i just met. so it took me quite a long time to get use to the other contestant. i do regret i didn't make friend as much as possible because after the competition its all about friendship! 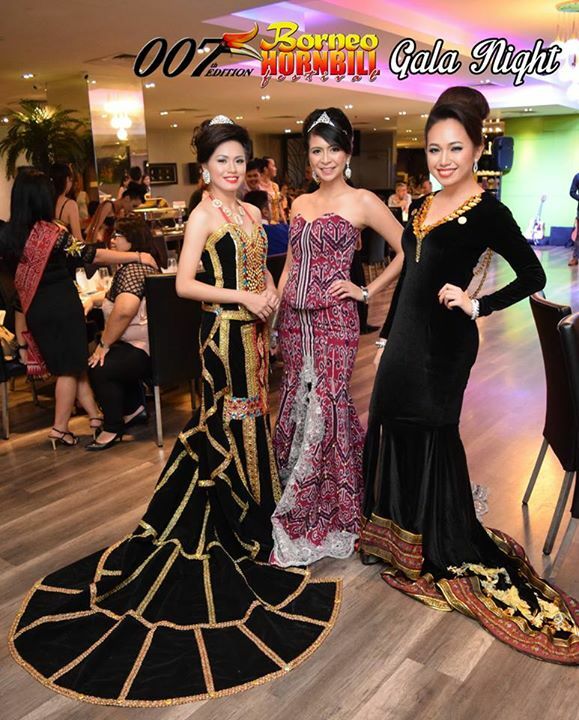 this competition held in Kuala Lumpur to expose borneo culture to our peninsularian friend and apart from that unlike other competition, you have to find your own place to stay during the competition and you also need to find your costume, gala-night dress (i advise you to wear whatever you have in your closet if you want to save some money or find sponsor). And if u have relative lives in KL, it would be a benefits for u. If you think that way, you wont regret spending money for this competition. #6 ENJOY YOURSELF DURING THE COMPETITION. Yes. This isnthe most important things is. To enjoy yourself,get to know more people and doing your best. enjoy the moment and keep the friendship. 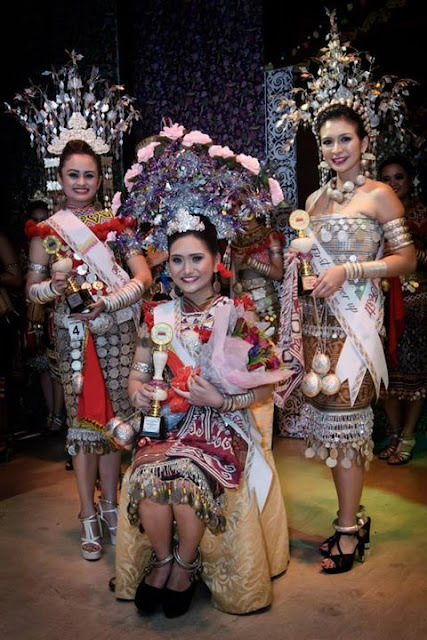 now, i actually won the Miss Sabah Open Catogery but only manage to get 3rd runner for the grand-final. so, i get to go to Krabi with the other winner and i also got my prize money 1.5 K saja. hoho. here are some of the photo duirng BHF. 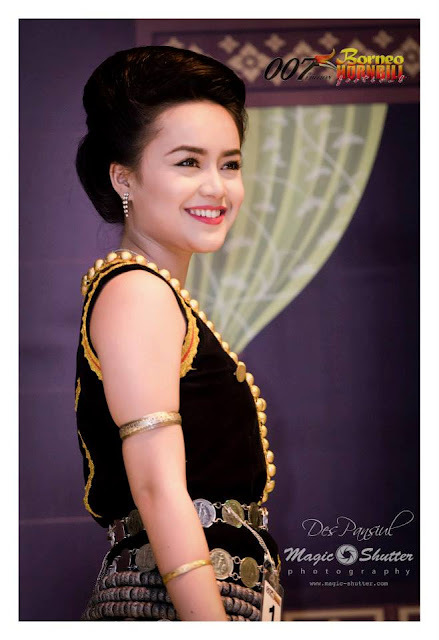 during my indoor judging with my MURUT TAHOOL COSTUME. will also blog about Murut Tahol after this. harap2 ada masa. winner for SABAH OPEN CATOGERY! 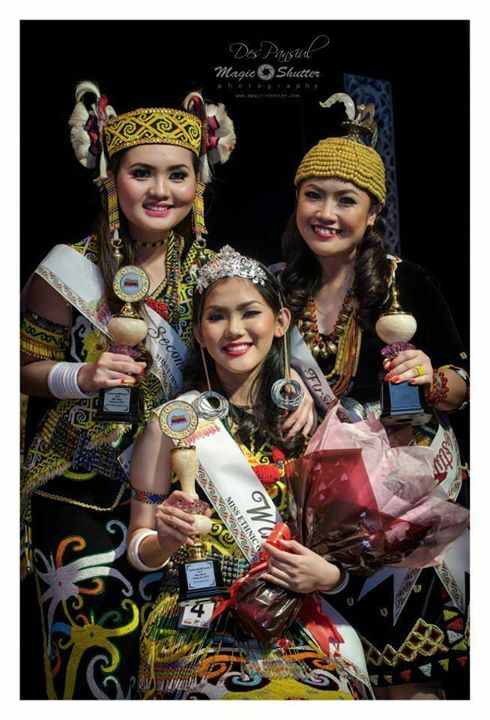 Winner for Orang ULU Catogery also winner for the grandfinal! sweet Natasha. 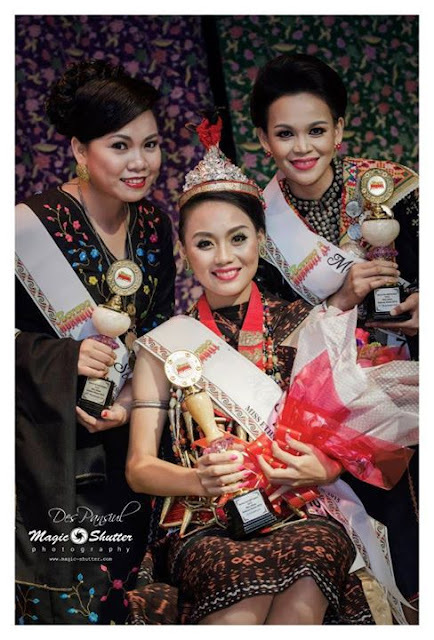 Winner for Bidayuh Catogery! we are on news kenen. what do i do with the money?? 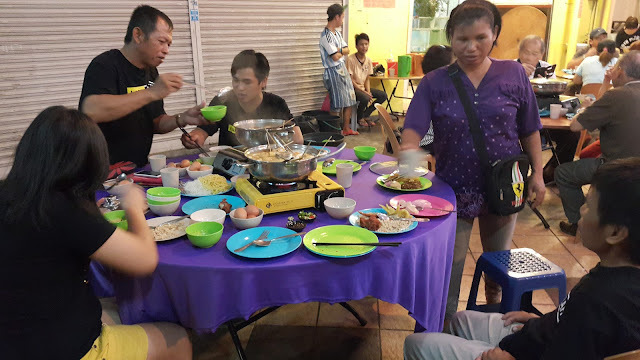 well, i brought my family to Steamboat as an appreciation. i am happy, they are also all happy. and the rest of the money? i get myself a braces!!!! cukup kah 1k untuk buat braces? mesti lah bah tidak cukup. but i'll blog about this later. actually kan, banyak ni saya mau blog about tapi teda masa. i hope i can make it today!! 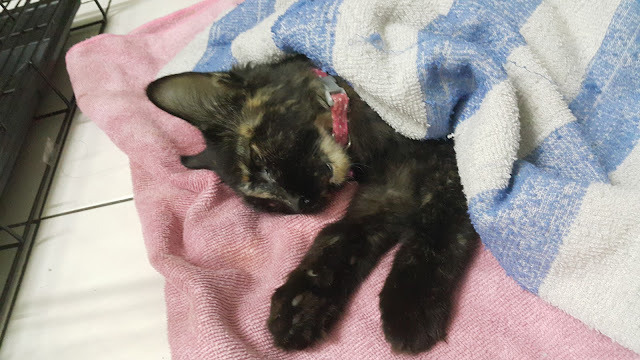 she's been so week for the past few days before she died and i am still thankful that she didn't suffer so long. our short moment together will be remembered. l i l i e t h e c a t l o v e r.